The walks described here take you across fields, through woods and along the banks of the River Frome. 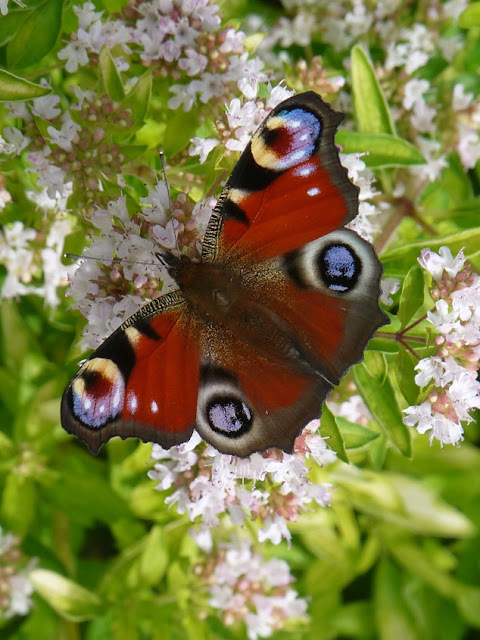 These provide a variety of habitats for mammals, birds, insects, and wild flowers. English bluebells can be seen along the River Frome and in patches of woodland in spring. Comfrey has large hairy leaves and drooping flowers ranging from white to purple. It is common along the Frome in late spring. The spectacular eyespot patterns of the peacock butterfly are unmistakeable. 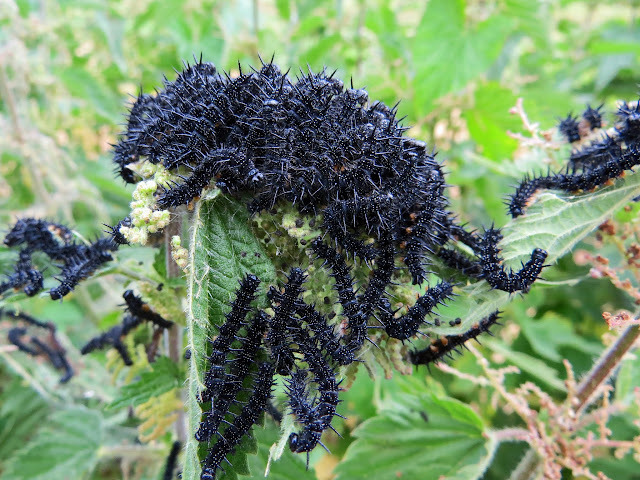 They lay eggs on nettles along the River Frome and huge numbers of spiny, black caterpillars hatch in midsummer. A summer visitor easily identified by its eponymous white throat. Listen for the plaintive call of the buzzard as it circles overhead. Or look for its heavy-set profile perched in the tops of tall trees. 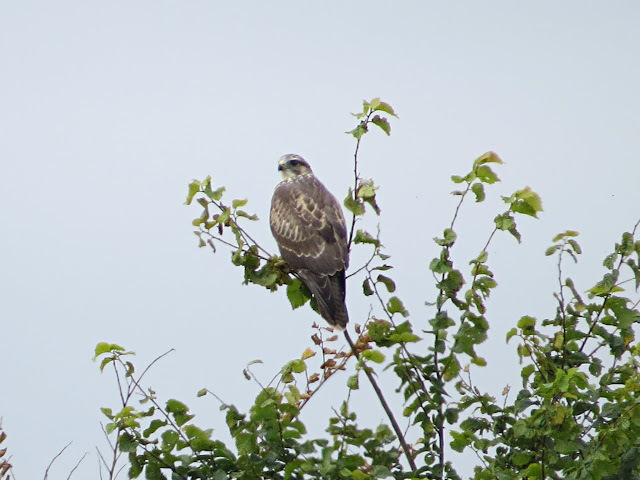 Often seen in family groups soaring over Frampton End Road in late summer. 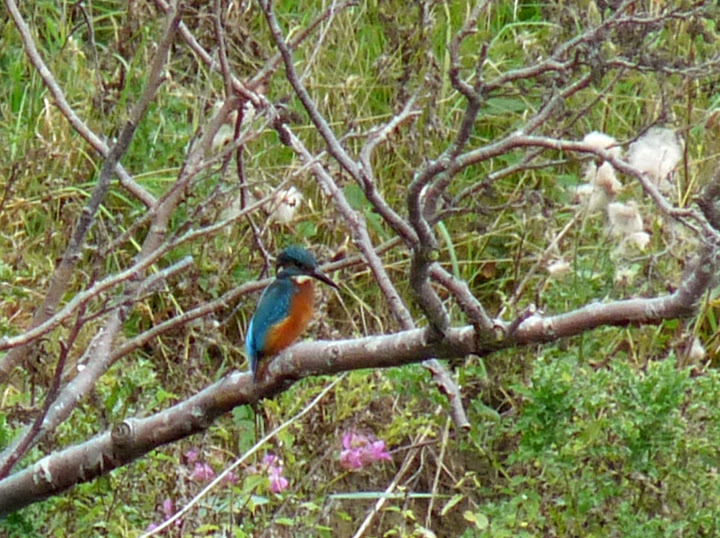 You may be lucky and catch a glimpse of a kingfisher along the River Frome. Though relatively common they are also very shy but the flash of electric blue as it darts along the river is unmistakeable. Yellow hammers can be heard singing along Frampton End Road on summer evenings. The Speckled Wood is a common sight in woodland and in grassland. The male Banded Demoiselle is an iridescent blue/green colour, and has a distinctive "thumb mark" patch on its wing. The male Beautiful Demoiselle is a similar colour but the wings are initially a metallic bronze colour, turning darker as they mature. The females of both species are a metallic yellowy-green colour. Roe deer can occasionally be spotted in the fields or investigating the crops on offer at the allotments! If you have photos you would like to share, please contact us or post them on our Facebook page.